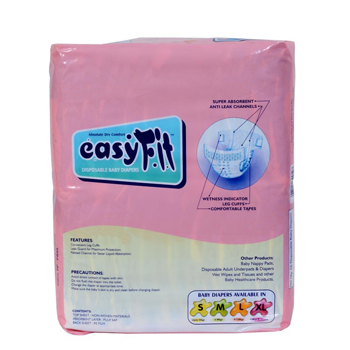 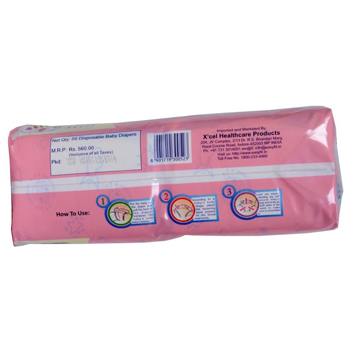 Easyfit Disposable Baby Diapers Xtra Small Size (56 Pieces/Pack) are designed with leak guard for maximum protection and netted channel for faster liquid absorption. 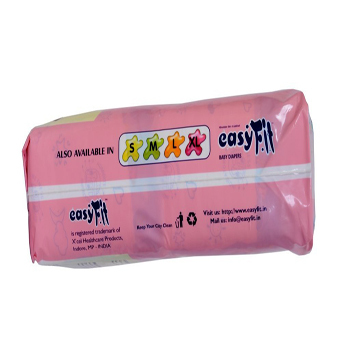 How To Use: Step 1: Hold the diaper firmly and apply the side tapes one by one, Step 2: Re-adjust the tapes if they are too loose or too tight. 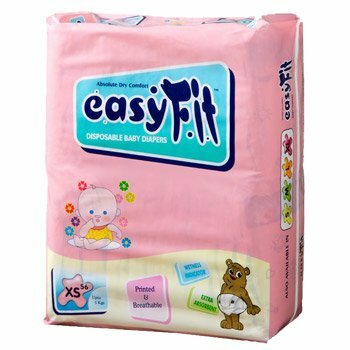 Nice product range for babies and old age patients.